all. 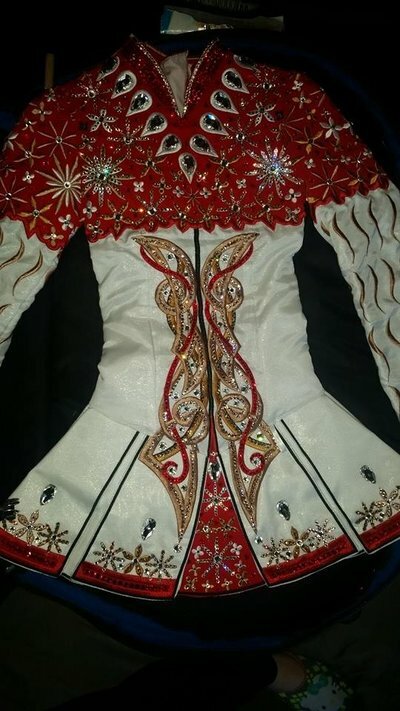 It was designed for an open champion dancer, but only worn three times due to an injury. Unfortunately selling because dancer is now taking a break. The dress is adorned with over 1000 Swarovski crystals. Price negotiable. Plenty of let out and let down. Additionally, there is a second set of sleeves that can be switched out if length is not appropriate. Asking Price: $US1850. Shipping costs are not included in the asking price. Returns are negotiable.